Ceann Comhairle Seán Barrett has written to the Chairman of the Oireachtas Committee on Members’ Interests asking him to convene an inquiry into Wexford TD Mick Wallace's tax affairs. Committee Chairman Thomas Pringle, a colleague of Mr Wallace in the technical group, said he would convene a meeting next week to discuss the request. He told RTÉ he would also seek legal advice on the issue of enquiring into behaviour that predated a TD's election to the Dáil to see if the committee had a remit in the matter. Earlier today, Independent TD Catherine Murphy said she was not calling on Mr Wallace to resign after he admitted his company under-declared VAT. Deputy Murphy, who is Whip of the technical group, said that Mr Wallace was democratically elected. She said that it was not for any TD to second guess what people did at the ballot box. Ms Murphy said it was not for her to call for Mr Wallace to be subject to a vote of censure in the Dáil, which would have to come from the appropriate Dáil committees. Yesterday, Mr Wallace admitted that his company under declared VAT on the sale of apartments. Deputy Wallace's company MJ Wallace Ltd has reached a €2.1m settlement with the Revenue Commissioners, which he says it will be unable to pay. He said: "I acknowledged that what I did was wrong, but I did it in good faith." Socialist and United Left Alliance TD Clare Daly has said that if Mick Wallace's account of events is true, in relation to a failure by his company to pay VAT on the sale of apartments, then she believes that Mr Wallace is fit for office. Speaking on RTÉ's News at One, Ms Daly said that "it was a very unfortunate episode, and that citizens should pay their taxes." Ms Daly added that Mr Wallace "made a wrong decision and went and brought that in an upfront manner to the tax authorities." "It's an entirely different matter to using your Dáil position for influence and personal gain," she said. Richard Boyd Barrett of the ULA said he thought what Mr Wallace did was "totally wrong" and called for a mechanism to be established to ensure that "where there are questions over suitability for public representation, (a TD) could be recalled by the constituents." Joan Collins, also of the ULA, said Mr Wallace was wrong, but added that she did not think that people really understood what the Dáil technical group is, and what it was capable of doing in this situation. "It's not a political party, it's not an agreement of political ideas or anything like that, so as a technical group we cannot demand that someone resigns." Independent TD Finian McGrath said that he liked Mr Wallace personally "but what he did was wrong, full stop." When asked if he thought there was a question over whether he should remain on as a TD, he said that for him there was not, and that it was up to the people of Wexford. Independent Deputy Shane Ross said he believed the best thing Mr Wallace could do is to make a statement to the Dáil to explain his position, what had happened and what he intends to do. Independent Maureen O'Sullivan said that she did not like acting as "judge or jury" over anyone else. "You cannot condone what Mick Wallace did," Ms O'Sullivan said. "What I have acknowledged is the way he has come out and admitted he has done wrong." 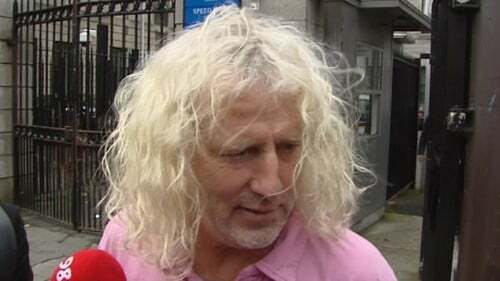 Socialist TD Joe Higgins said that while he believed what Mick Wallace did was "off the wall," it was up to voters in Wexford in an election to decide whether he should be a TD. Speaking on RTÉ's Today with Pat Kenny, Mr Higgins he believed that in a situation where tax has gone unpaid, whether owed by a company or an individual, that that money should be repaid, using a person's personal assets if necessary. Labour Deputy Eamonn Maloney, however, has called on Mr Wallace to resign over the issue. "No tax evader should have a place in the parliament, no tax evader should be a law maker and I think it's a matter of honour," said Mr Maloney.